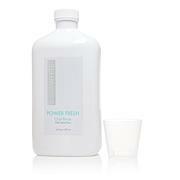 IntelliWHITE® Power Fresh Oral Rinse 4 oz. 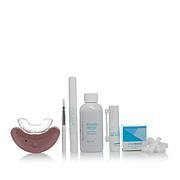 Whitening starter kit with everything you need to achieve and maintain a beautiful white smile. Ingredients: Active Ingredient: Sodium Fluoride (0.243%) Inactive ingredients: Glycerin, Hydrated Silica, Water, Sorbitol, Tetrapotassium Pyrophosphate, Flavor, Titanium Dioxide, Sodium Lauroyl Sarcosinate, Cellulose Gum, Lauryl Glucoside, PVP, Cocamidopropyl Betaine, Xanthan Gum, Sucralose, Sodium Saccharin. 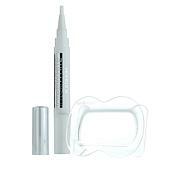 I've used Rembrandt toothpaste for years, & was thrilled to find they developed an automatic brush w/ a whitening system too! I've been lazy & haven't tried the whitening liquids because one needs to set aside 2 hours, but I will. Love the brush & am very satisfied! My teeth have never been cleaner! I love this toothbrush. I was using a normal, manual toothbrush before I ordered my Rembrandt Whitening Collection, and I can really tell a difference in how clean my teeth are. The toothpaste has a nice minty taste.The two hour whitening treatment worked great. I've tried two week regimens in the past and always seem to miss days. I liked that this was a one time thing. Teeth were so smooth & clean feeling! This toothbrush is powerful and really cleans! I felt like I just walked out of the dentist with that smooth slick feeling! I used to have a Phillips toothbrush before it died, and this is very comparable in performance in my opinion for less money. 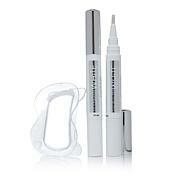 I have only used the toothpaste so far, but can't wait to try the whitening kit this weekend. 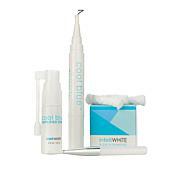 Great option for whiter, cleaner teeth. I think this is a great collection of whitening products. The sonic toothbrush is awesome - I like the small brush head and how it leaves my teeth feeling clean and smooth every time I brush. The whitening strips are a little big, but they stay in place better than other strips I've used, and I had no real sensitivity after use. 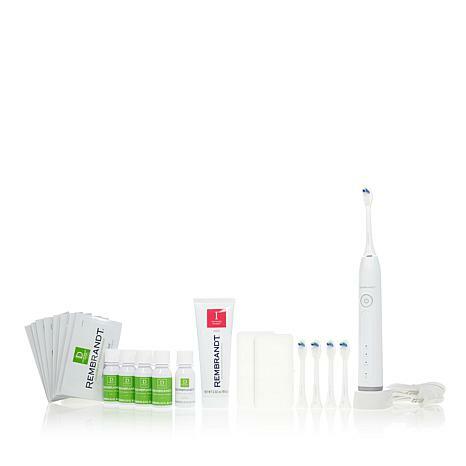 Bottom line: These products have left my teeth feeling cleaner, healthier and whiter than ever. I highly recommend.